1. What Happens When You Borrow From Life Insurance? 3. What Is Whole Life Coverage? It can be morbid to think about death, but it’s something that comes eventually for everyone. Whether you’re 20 or 90, though, one of the best things you can do to prepare is to make sure your loved ones will be cared for once you’re gone. Life insurance can make that happen, but when you start shopping around, the sheer number of options can be overwhelming. Two of those options are whole and universal life, but they’re so similar, it can be tough to decide which is better for you. There’s more than one difference between whole life and universal life insurance, though, so it’s important to look at these policies a little closer. What's a Universal Life Policy? Also known as adjustable life insurance, a universal policy offers insurance against death in exchange for the premiums you pay. Similar to a savings account, a universal policy allows you to pay premiums at your own discretion. There are, however, some universal insurance policies that require you to pay either a lump-sum premium or scheduled fixed premiums. There are two components to a universal life policy. One is the cost of insurance amount, which is a minimum amount you need to put in to keep the policy active. The second part is the cash value, which is the savings component of your insurance policy. The cash value earns interest based on the going market rate, just as your savings account does, and you can even withdraw some of those funds as the value grows. The “whole life” in whole life insurance refers to the fact that the policy is designed to cover you for your entire life. You’ll have to continue to pay premiums to keep the policy active, but as long as you do, you’ll have coverage in the event of your death. With each payment, the cash value of your policy grows and accrues interest, similar to the way a universal policy does. You can borrow against the cash value of your whole life policy or even surrender it, taking the value in cash to spend now. However, it’s wise to keep the money in the plan as intended so it will be there when you need it. Although you can benefit from a whole life policy at any point, it’s often advised as a life insurance option for younger policyholders since they’ll get the fullest benefit over the course of their lifetime. One area where there is a difference between whole life and universal life is maturation. Whole life insurance usually matures when the cash value in the plan reaches the amount of the death benefit. At that point, if you’re still alive, you’ll get that cash value in a lump sum, but you’ll also be required to pay taxes on the cash you receive. On the other hand, a universal life policy typically reaches maturity at a point stipulated in the contract you sign when you take out the policy. In the best case scenario, the policy matures when the death and cash benefit are equal, but it also may mature when either the total death benefit or cash value is reached, whichever comes first. The tax benefits often draw consumers to a whole or universal life policy. With both whole and universal policies, money within the policy is allowed to grow tax-free. The death benefits are tax-free when they transfer to your survivors, as well. Both policies also offer tax-free loan opportunities. To enjoy these benefits, though, it’s important that the insurance policy be set up and managed correctly. One time you may enact tax consequences is if you take cash out of the policy. If you sell, surrender or withdraw from the policy, you’ll have tax consequences as well. The amount of money in the plan that’s taxable is the cash in the plan up to the basis, otherwise known as the amount you’ve paid in premiums. This amount is taxed as ordinary income in the year you take it out of the policy. One major difference between whole life and universal life is flexibility. Some universal life policies let you change your death benefits and skip premium payments when money is tight. You’ll also often pay lower premiums with a universal plan when interest rates are higher than you will with a whole insurance policy for the same amount of coverage. There are also benefits to a whole life insurance policy, though. Premiums don’t increase over time with whole insurance, which makes it easier to plan your household budget. Interest on a universal life insurance plan is adjusted on an ongoing basis, but whole life insurance sees those adjustments once a year. For universal policyholders, this means that when interest rates are on the uptick, you’ll make more on the cash value you have in the plan. When you’re researching whole life insurance vs universal life insurance, you may come across a few mentions of something called indexed universal life insurance. With indexed universal life insurance, the cash portion of your life insurance policy will earn interest based on an index that the insurer chooses. Instead of earning some fixed interest rate, that means you stand to earn even more money, but you can also find you earn less than you would have with an ordinary universal life insurance plan. The interest rate is based on something called the index, which is a group of bonds like the Standard & Poor's 500 index and the Nasdaq 100. It’s important to note that your insurer won’t be taking your money and investing it in an index fund. The interest you earn will simply be based on the going interest rate of the index the insurance company has chosen. When you’re looking at whole life insurance vs universal life insurance, it’s important to first look at the bigger picture. Both whole and universal life insurance fall under a larger category called permanent life insurance. Permanent life insurance is a term for a group of life insurance policy types that don’t expire. The alternative to permanent life insurance is term life, which sets a specific time period for the policy. At some point, a term life policy will expire, at which point the policyholder has three options: convert it to a permanent policy, renew it for an additional term or let it expire. Unlike a permanent life insurance policy, term life insurance has no cash value. It is merely in place to offer coverage in the event of the policyholder’s death. If you choose to surrender the policy, make sure you check into the fees that will apply. It also means your loved ones won’t have the death benefit you once had in place if something happened. If you choose, instead, to periodically take money out, monitor how it’s affecting your death benefit since some policies have rules in place that take money away from the death benefit as the cash value reduces. As you’re looking at whole life insurance vs universal life insurance, though, one question to ask is whether you need it in the first place. 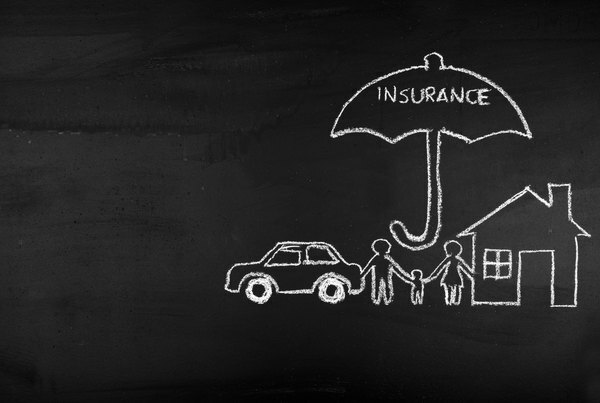 Some experts believe whole and universal insurance policies aren’t the best investment. Insurance agents are incentivized to sell you these policies without making sure they’re the right fit for you. In general, the premiums on permanent life insurance are much higher than those you’ll pay for term life. It’s sold as an investment, with the cash value you build being seen as something that benefits you. However, when you look at alternative investment options, you’ll likely find that there are better ways. You’ll just need to first make sure you have death benefits in place for your beneficiaries. Instead of a permanent life insurance policy, you can take a two-pronged approach to making sure your loved ones are cared for, while also setting some cash aside for yourself. Look into various life insurance options and compare premiums, disregarding any offers of cash benefits and simply going by the death benefit it will provide. Chances are, you’ll find much lower premiums for the same benefit outside of permanent life insurance policies. While you’re considering life insurance policies, you should also check to make sure you’re taking advantage of any 401(k) options that are available to you, especially if your employer will match your contributions. Once you’ve maxed that out, a Roth IRA can give you the same tax benefits whole and universal life insurance policies promise without the pricey premiums. This will ensure your loved ones are taken care of while also having your money in a place to earn interest. If you’re thinking about a whole or universal life policy, it’s important to know what criteria to search for in a policy. You should first set goals for your policy that will help you determine exactly how much you need. If you simply want to make sure your funeral costs are covered, you may find that a $10,000 death benefit is sufficient and your plan can be based around that. If, instead, you want to replace your own income for years following your death to keep your family financially comfortable, you may need a much higher-value plan. Qualification requirements: Some plans will require a medical exam along with a lengthy application. Many others, though, allow you to get approved using only a questionnaire or, even better, have no health qualifications at all. Growth rate: Before you agree to pay higher premiums than you would for a term life plan, make sure you know exactly what you’re getting in return. Ask about the interest rate the cash value part of your plan will earn and whether that will change over time. Financial strength rating: Insurance companies are rated through A.M. Best. Look for an insurer with a rating of B+ or better for best results. You don’t want a fly-by-night insurance company, and this score can help you find one that has the strength to stick around. Customer service: If you do have an issue or question, you’ll want to make sure you can pick up the phone or place a quick email and get help. Research reviews on the insurer you’re considering and make sure you find one with a strong reputation for good customer service. Protective: What's the Difference Between Whole Life and Universal Life Insurance? Policygenius: Is Indexed Universal Life Insurance Worth It? What Is Equity Index Universal Life Insurance?